While there are lots options to choose from, how would you know which CRM is the best for your business? Which one will help you manage your business better and promote growth. Most of the CRM systems have a slight difference in their features. So choosing one by comparing numerous solutions can be a little difficult. But if you’re aware of your business objectives and your needs, it’s not that difficult either. Well, if you’re buying your first CRM system, you need to do these 5 things first! HubSpot and Infusionsoft are both packed with a whole lot of features. Both have quite user-friendly interface as well. Any new tool needs you to be trained accordingly. If this is taken care of, then you’ll find both the platforms really easy to use and highly intuitive. HubSpot CRM allows you to track, manage, and organize your sales pipeline in an efficient way, no matter what the size of your company is. Infusionsoft, on the other hand, is a small business CRM that helps you stay organized as your business grows. Infusionsoft and Hubspot both allow you to get insights about your contacts (prospects/customers) that both your sales and marketing teams would need. You can manage the contact information, lead source, tasks, appointment history, website activities, interactions with your brand all at one place. HubSpot also helps you get detailed insights on contact records from over 20 million businesses in their database. With infusionsoft, you can easily import data, update, edit, export, or trigger automation in batches, and also check for duplicate records. 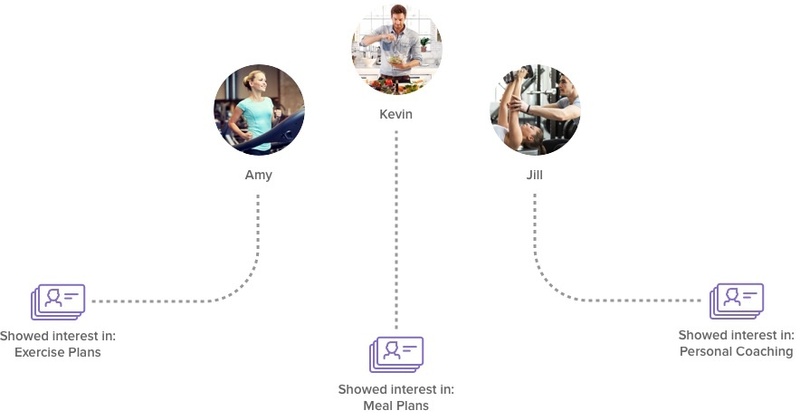 Segmentation lets you send the right message to the right person at the right time. 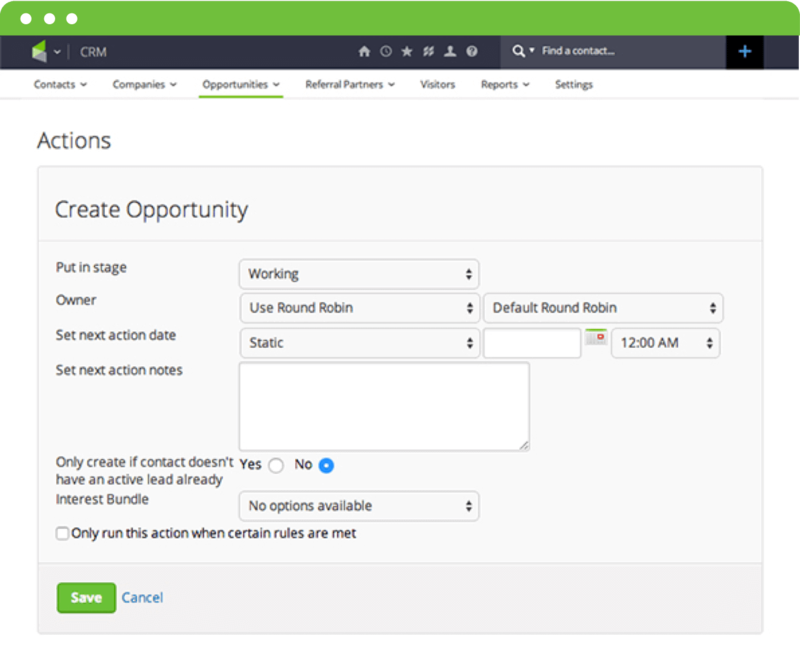 Infusionsoft CRM allows you to segment your lists based on demographics, email clicks, payment history, lead score, and purchases. It helps you get real-time notifications and know the instant a prospect opens an email or downloads an attachment. With HubSpot, you can queue up a series of emails and deliver them to a prospect on a schedule you set.Hubspot CRM earns kudos here as it automatically turns your repetitive emails into templates that you can send out in seconds. 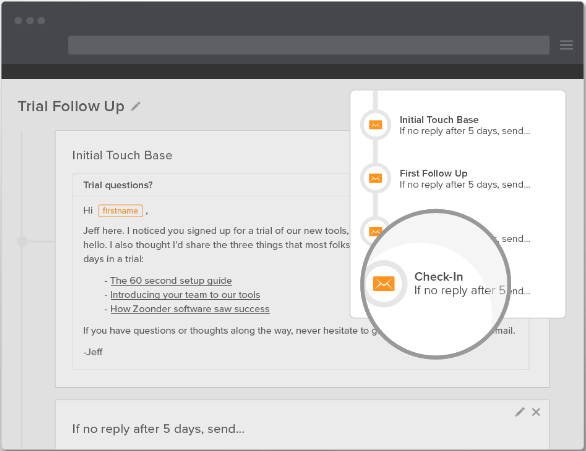 It also helps you send automatic follow-up emails to the prospects until they develop interest in your product/service. Infusionsoft CRM and Hubspot CRM can both be used on mobile devices. 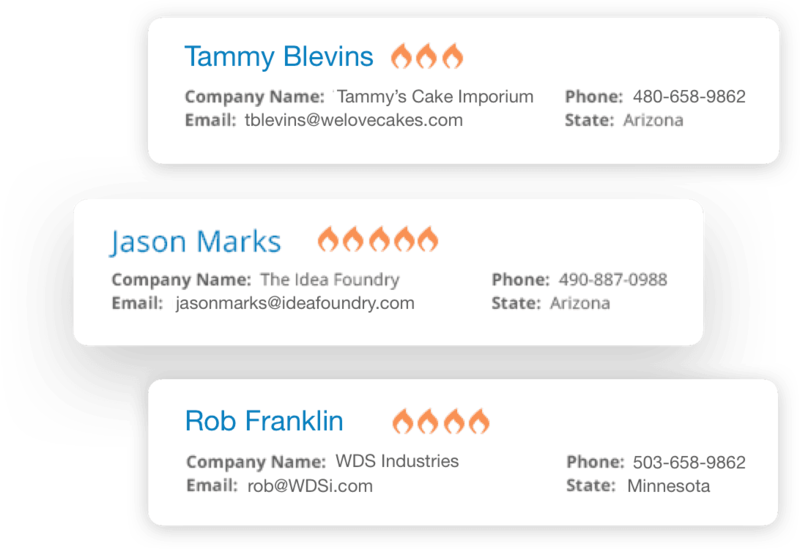 Infusionsoft lets you upload, access, and edit contact information, add tags to trigger automated follow-up and campaigns, communicate with customers, view, create, and complete tasks on-the-go. HubSpot enables you to get a shareable link that syncs with your calendar and lets your leads pick a time that works for everyone. 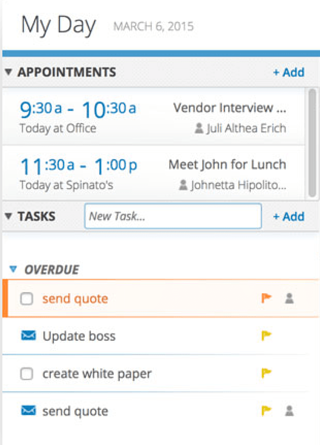 You can manage tasks in Hubspot CRM by viewing all of them together on the calendar. 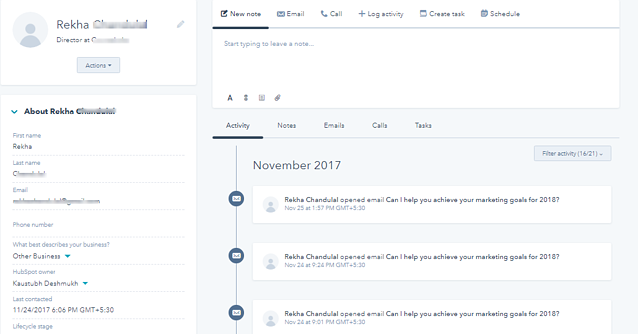 You can do this and much more with Infusionsoft like automatically generate tasks based on contacts' behavior, set reminders for tasks, and streamline your workflow. With lead scoring, you can prioritize leads. Following up and nurturing leads that can actually convert to customers becomes easier. Both Infusionsoft and HubSpot are great for lead scoring. 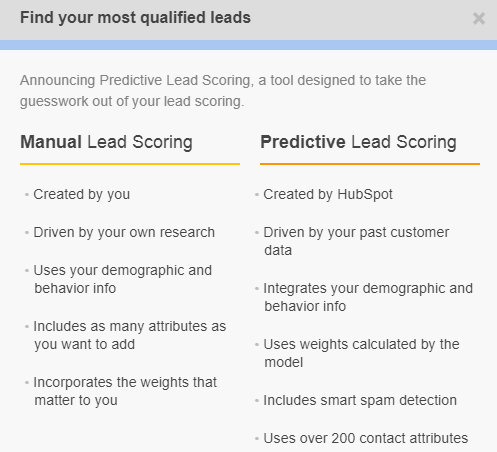 While Infusionsoft scores leads based on their behaviors, demographics, and interactions, HubSpot also lets you customize the criterion for lead scoring. HubSpot’s pipeline management feature lets you sell the way you sell in real life. You can easily create deals, see where deals are getting piled up, and use automated workflows to rotate leads. The sales activities are automatically tracked and reports are generated in both the CRM systems. Infusionsoft also gives you the sales cycle trends and automated reports that show you what works and what doesn't. It also aids in revenue generation by sending automated reminders to sales team for deal follow-ups. HubSpot CRM is free forever with basic features for a single user. But for features like book meetings, live chats, email sequences etc. you’ll have to pay $50 monthly for one user (sales plan). Hubspot offers three paid marketing plans – for basic users, professional users, and enterprise users. Their ‘professional package’ is best suitable for advanced sales teams, which is for $400 per month and 5 people can use it! Infusionsoft offers five monthly subscription plans and three Kickstarter plans for one time onboarding. Infusionsoft’s subscription plans range from $199 per month to $999 per month. Their ‘complete subscription plan’ is for $379 per month and 5 people can use it. You can choose any Kickstarter plan regardless of your subscription plan. Match these points with your needs to zero in on the right CRM for your business. I hope this will help you choose the best CRM system to accelerate your business growth! And if you’re still baffled or need any kind of assistance while deciding which marketing automation software is best for your business, then we’re here to help you! 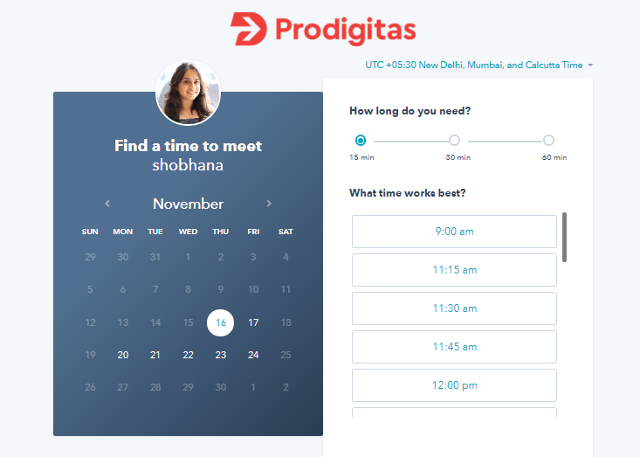 Connect with our CRM experts at Prodigitas, who’ll help you take a well-informed decision by taking into consideration various aspects like your business type, buyer persona, pricing, sales and marketing integration, analysis, reporting etc.